Part of the UHF TV frequency band has now been formally allocated to mobile network usage around the world. Delegates at the month-long ITU World Radiocommunication Conference (WRC-15) in Geneva, Switzerland have formally agreed to reassign the 700 MHz frequency band to mobile broadband in ITU Region 1 countries in Europe, Africa, the Middle East and Central Asia, following similar moves that have already happened in the rest of Asia, Australia and the Americas. The 700MHz frequency band (UHF channels 49-60) is seen by mobile network operators as a key way of providing mobile broadband services to rural areas, as these frequencies are better at penetrating remote areas than the higher frequencies traditionally used for mobile services. 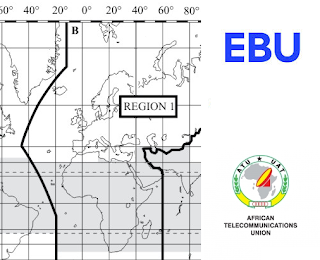 The provisions adopted by WRC-15 provide full protection to terrestrial television broadcasting, as well as to the aeronautical radionavigation systems operating in this frequency band at the current time. The remainder of the UHF frequency band below 694 MHz can still be used for TV services. “The WRC-15 decision represents a landmark in the development of broadband mobile on a worldwide scale, regardless of location, network or terminal used. “The global harmonization of the 694-790 MHz frequency band that has been decided by WRC-15 paves the way for manufacturers and mobile operators to offer mobile broadband at an affordable price in currently underserved areas." Several European countries are now in advanced stages in their plans to move terrestrial TV services to new frequencies by the end of the decade, so that mobile network operators can commence using the new frequencies around the year 2020.